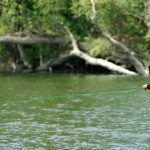 You may be a veteran or an absolute novice in fly fishing, but anyone remotely connected with this sport will know that the fishing reel is often the secret to success. 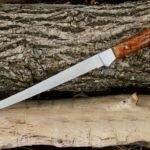 While those who are veterans will leave no stone unturned in looking for the best fly fishing reel, the same quest can be a major challenge for those who are not so experienced. But unlike what most people think, the most expensive fly fishing rod may not be the best. 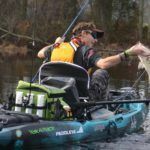 Often the best one is the one that can perfectly balance the overall strength of the rod and your physical strength in a well-balanced format. That alone can give you a product that is of superior build and also yields superior results. The idea is to look for functional fly fishing reels that can truly enhance your strike rate in a perceptible manner. The reel design is crucial in this context. So you have different options that are better for either saltwater or freshwater. But then again you have a series of those wide range options that can pretty much fit the most basic type of fly fishing. These are also the types that can fit within the specific budget. 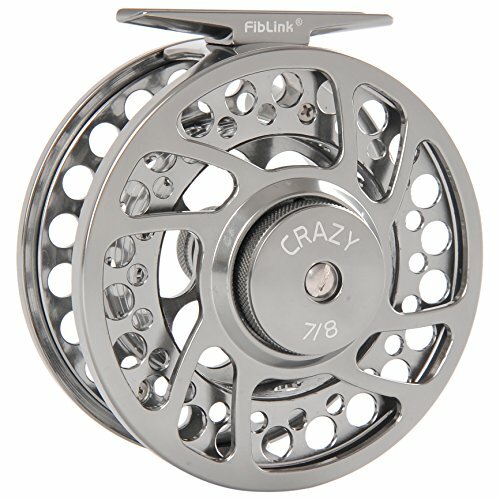 So choosing the best fly fishing reel is not that simple. But we decided to make the task a lot simpler for you with our ready guide and detailed reviews. These are the comparison of some of the most effective and efficient fly fishing reels available in the market. We have tried to incorporate budget options and reel specifications that can suit a wide range of users and can easily enhance their fly fishing experience. The idea is to offer users a ringside view of the complete range of possibilities that they can explore and then make an informed choice. 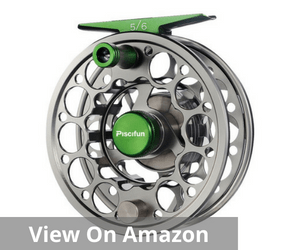 When you are looking for the best fly fishing reel, this lightweight, corrosion resistant offering from Piscifun scores very high. 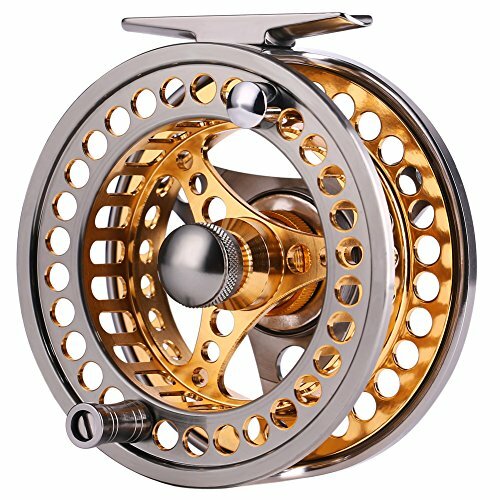 It is a practical and extremely stylish fly fishing reel that also offers a distinct value for money proposition. The brand Piscifun is known for its affordable yet quality fishing gear in the industry. 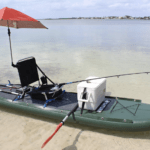 This is a brilliant combination of user convenience and great quality fishing accessory. This Sword Fly Fishing Reel is a CNC-machined variant. It comprised of a precision CNC-machined 6061-T6 aluminum alloy which guarantees a much higher degree of durability, strength and lasting quality. Additionally, these fly fishing reels are forged and tempered. Needless to mention that this enhances the strength and rigidity of these reels by many notches. The hard anodized surface of this fishing reel offers protection from potential abrasion and other related damage possibilities. So in very simple words, you have a fairly sturdy and durable fishing reel at your disposal. This is also a fairly multi-functional one that can help you target many types of fish simultaneously. This fishing reel also portrays very strong craftsmanship. The mod-arbor design coupled with the use of 6061-T6 aluminum alloy gives it a smooth and quality finish. Moreover, the use of these large CNC hollow designs adds to its strength and makes it relatively more lightweight than most products in this range. However, any review about this fishing reel is incomplete without the mention of the multi-disc cork and stainless steel drag. It is silky smooth in terms of operation and exquisite on the design front. The click drag design also enhances accuracy. It is also a very low maintenance offering. 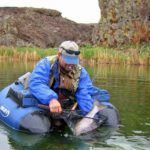 If you are the type of fly fishing enthusiast who would rather operate on a budget, this is one of the best options for you. The Piscifun Aoka is a sleek, sturdy and pocket-friendly reel that easily finds mention in any list of the best fly fishing reels. These Aoka fishing reels use the same quality aluminum bar-stock as the more popular Trout series does. Apart from the standard spool, you can also use spare spools in this one. The package comprises of one fly fishing reel along with other standard accessories. The best part is that the Piscifun Customer Support is available to guide you on the variety of features available. 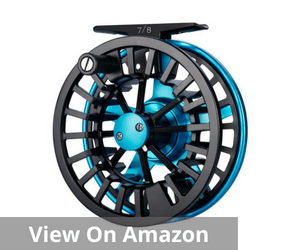 This fly fishing reel also comes equipped with a very smooth Teflon disc drag. 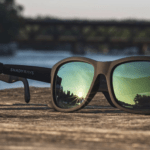 It creates a definitive impact on the whole fly fishing experience and makes it relatively a more comfortable and a smooth one. It is also a more secure set-up guaranteeing a definitive advantage to the users. It is also a click drag with a silent retrieve. The mid-arbor Spool and oversize handle also need special mention in this context. It is a die-cast spool with the completely machined frame. This sleek fishing reel is available in a variety of color combinations and is particularly known for creating much faster line pick-up. Affordable, lightweight and a definitive value buy for users. Though just 3% of the users raised concern about this piece, they pointed out that this is not a complete package. It is more of a spool and its parts and not a complete reel. But the product description is quite clear about what they are including in the package. You can easily refer to it for details. 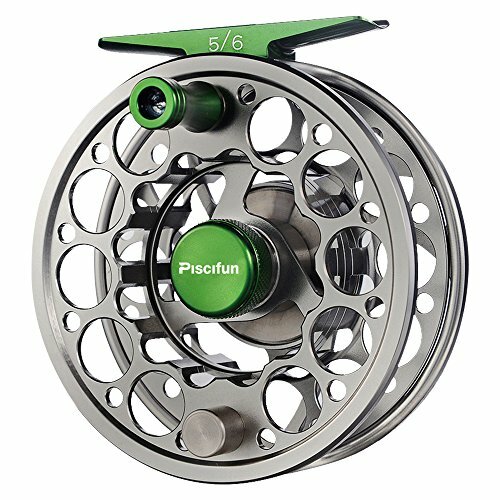 Most of the Piscifun fly fishing reels are known to guarantee a superior experience, great quality products. They don’t just boast of a great finish but also represent superlative user comfort. These fly fishing reels have some of the smoothest click drag system and an appropriately quite retrieve. 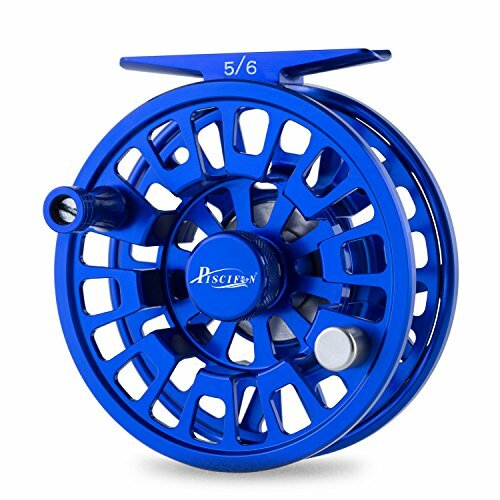 No wonder then that the Piscifun Blaze fly fishing reel is considered one of the best fly fishing reels available in the market today. These are very reasonably priced and give you a wide range fishing experience. The frame is tempered and cold-forged guaranteeing rigidity and durability altogether. 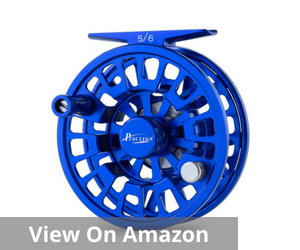 This too is a CNC-machined aluminum reel just like most other Piscifun products. As a result, durability and strength are factors that you do not need to worry about in this fly fishing reel. That is almost guaranteed. That apart, the disc drag system also guarantees a better performance coupled with quality and relatively smooth finish. The best part is you do not need additional tools to convert it as per your hand orientation. This is also a corrosion resistance fly fishing reel. As a result, you can be more comfortable about using it in any kind of condition, and the overall maintenance process becomes fairly simple. Like most others made by the company, this is made of high purity 6061-T6 aluminum alloy and is resistant to abrasion to a large extent. This fly fishing reel is a versatile and multi-functional gear. 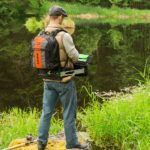 It can be easily adapted to a wide range of fishing destinations like lakes, rivers, streams, creeks and the like. 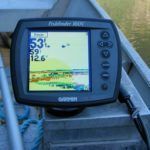 You can also use it to angle different species of fish like trout, light trout, bass, steelhead, sea trout, redfish and a lot more. 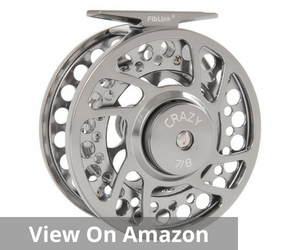 Zero Deviation is another great feature of this fly fishing reel. That means this one has a very high degree of tight tolerance and it does not wobble from side to side. These also come with ergonomic reel handle and significantly cut down hand fatigue when being used for a longer duration. This is also an extremely light-weight gear and quite simple to dismantle. There are hardly any 1-star or 2-star reviews highlighting the superiority of make and product finish. But the drag knob appears to be a definitive pocket of concern for some users. It appears to turn a bit too easily. 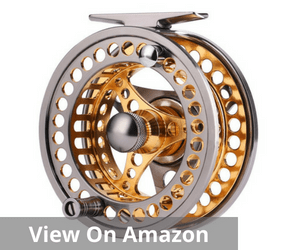 If you are looking for a solid and value-based fly fishing reel, the Sougayilang is one of the best fly fishing reels you may opt for. 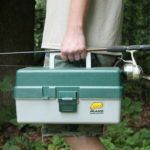 It is not just a very reliable and sturdy piece but is also designed to cover a wide range of fly fishing capabilities. 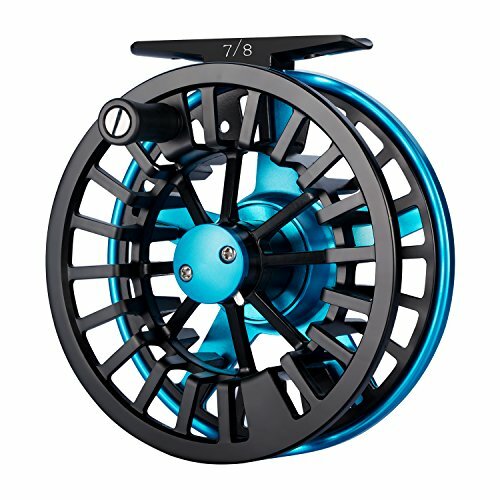 So whatever be the fly fishing type that you may want to go for, this reel can be extremely useful and adapted to that end. Like the many other competent variants available in the market, this is too a CNC-machined aluminum construction and comes equipped with a rotary knob system. The advantage of this set-up is that it helps you to introduce a definitive level of resistance to the fishing line release. The relatively larger arbor also facilitates maximum line retrieval speed. The reel is also known for an adaptive fishing experience. Be it trouts, bass or even panfish, this reel promises a prized catch every time. Additionally, this comprises an advanced fiber-composite drag system. 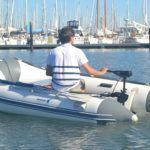 There are some distinct advantages of this combination as it gives the user the ability to stretch the reel to the extreme end of its capabilities and sporting limit. But above all, what makes the deal really good is the 5-year warranty. The company’s customer service representatives are available for addressing any customer grievance on that front. Moreover, they are also easily approachable for changing the hand orientation. The factory setting for this reel is set at left-hand retrieve, but the company representatives are easily available to change it into a right hand retrieve. The CNC machining is a bit rough when you compare it with Picsifun and that is why many users feel it is better to spend the additional $10 or so for that option compared to this. If you are looking for a specialized saltwater option, the Fiblink is one of the best fly fishing reels that you may opt for. Quality finish, user-friendly design with a creative improvisation makes it a definitive buy for many who are looking to improve their success rate in saltwater fly fishing. This is an especially ultra-light and practical fly fishing reel with a sealed drag stack. The advantage of this sleek machine is that it creates a relatively strong delivery module and helps users stretch its levels to the maximum. This is also an athletic variant with a proper potential to excel many folds. This also comes with a far less line stacking and a comparatively higher line retrieval rates. The left to right-hand retrieval switch is rather simple in this one. If you carefully follow the instruction, it is a convenient and easy to follow mechanism. The durability of the reel, however, remains to be a cause of concern for some of the users who have bought it. As a result, they prefer going for a more dependable and reliable fly fishing reel with a proven track record of quality. Therefore, you can well imagine that details are important when you are looking for the best fly fishing reel. The one that you choose has to be decidedly the type that suits your specifications best. You have to consider many options before making the final call. In many ways, the factors you consider often become the most important factor that impacts your judgment in many ways. Moreover, your hand orientation also plays a crucial role. The species of the fish that you are going to angle is a key requirement when you are trying to decide on the best fly fishing reel. This is because different fish species will need different types of specifications to guarantee your success and an improved strike rate. For example, if you are going for salmon fishing, you may need a spey casting line, but the reels for grayling and light river trout need just an uncomplicated click & drag reel. There is no need for any further sophistication here. If you are going to frequent salt water, it needs to be corrosion resistant for sure. The size of the reel is another important aspect. 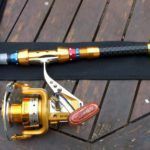 The bottom line is your reel must have the appropriate strength to hold a certain amount of weight and also offer sufficient backing. If you have large hands, the small reels may be uncomfortable, and at the same time for the smaller hands, the size specifications change too. 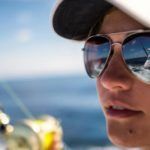 Many users have a definitive personal preference and you have to also balance the size, weight of the target catch and the capacity that your reel offers. Standard Abbor: This is a rather traditional design and is favored by certain experienced players. These have adequate backing, but the frames here are very narrow. Mid-Arbor Fly Reels: These are one of the most popular ones and offer definitive value to the user. They are relatively more machined out to cut down weight. Large Arbor Fly Reels: These have a relatively bigger diameter and enable a faster retrieval rate for the users. There are many other aspects too that you have to consider like the drag system and the design for the drag system. But the most important consideration is undeniably the individual’s preference. The type of water body and the fish species combined with your personal preferences offer a relatively more definitive scope for making value calls. 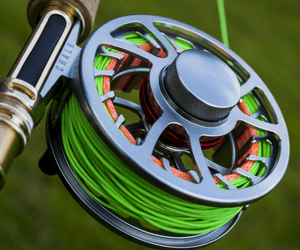 Therefore, remember the best fly fishing reels are the ones that fit into your budget but at the same time offer you sufficient scope to improvise and experience a higher strike rate. Just rand value or pricing are not appropriate parameters to choose a great option.